Contact SERVPRO of West Amarillo for any and all water damage needs. Washing machine or dishwasher leaks? Toilet back-ups? Burst or leaky pipes? Hot water heater issues? 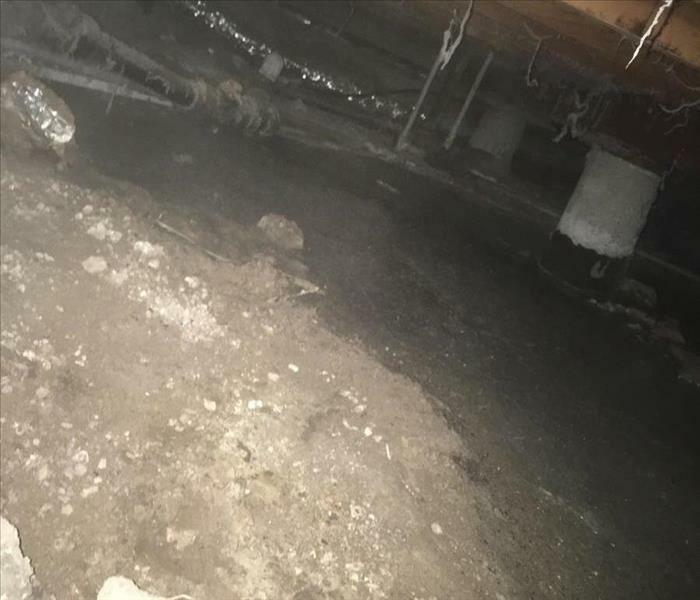 Flooded crawlspace? SERVPRO of West Amarillo has emergency crews prepared for any situation 24/7. In addition to calling us, if you have home insurance, it is a good idea to call and file a claim, as water damages can often be more expensive than expected. Make sure to have the claim number and adjuster information ready. Our office staff will be in direct contact with the insurance company throughout the entire process so that we can relieve as much stress as possible from the customer. Water damage can be chaotic and traumatic. When you call us, we understand you may be feeling confused, stressed, and vulnerable. You need an expert to guide you through this crisis. SERVPRO of West Amarillo has the specific water damage training and experience to help you through this tough time. We specialize in water damage restoration—in fact, it's the cornerstone of our business.